Rice Lovers, Satisfy Your Craving! 40 Easy-To-Cook Recipes That Are Delicious And Nutritious To Make You Go Hmmmm! This cookbook was inspired by the need to cook and eat good food, and the recipes transport you to different parts of the world. As the title states, it makes you want to say “Rice is Nice Hmmmm!” when you see the colours, smell the aromas and taste the flavours of the food. The dishes can be cooked in one pot, thus making the meals nice and easy to prepare. Each recipe includes Rice and one of the Pulses, all of which are found in abundance. Rice is a very versatile food item, and there are many varieties that come in different shapes and colours. The dishes in this book use Basmati rice. Pulses also come in a variety of shapes, colours and sizes and are high in fibre, and very nutritious. 20 different pulses are used in the recipes. The cookbook also includes chapters on the varieties of rice, pulses, onions and garlic. There are further chapters on the spices, meats, vegetables and other ingredients used in the recipes. There is even a recipe to cook plain boiled rice. The final chapter was written for the more adventurous cooks. 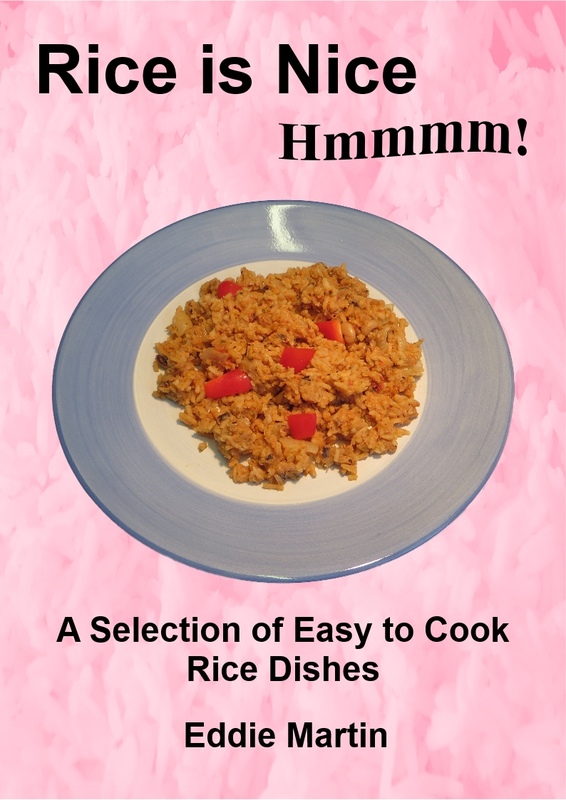 It describes how flexible it is to cook these types of rice dishes, and shows you how to make up your own recipes. The beauty of this allows you to include, or exclude, your choice of ingredients.